In 1929 Kerr Stuart built two standard-gauge diesel shunting locomotives with mechanical transmissions. One was an 0-6-0, the other an 0-4-0. The six-coupled locomotive was successful and sold in the normal way. However, there were problems with the other machine, and it remained in the works for further development. It was still there when the firm was taken over by Hunslet in 1930. In that year it was transferred to the Hunslet works at Leeds where work was completed. It thus became the first standard-gauge diesel loco sold by Hunslet; but the works number was prefixed 'K' to denote its Kerr Stuart origin. No. K4428 was sent to the Air Ministry at Cranwell in February 1932, but after only a month it was returned to the factory. Later that year, or possibly in early 1933, it was sold to Eastwoods' Brickworks of Kempston Hardwicke, Bedford. During 1946 the original McLaren-Benz engine was replaced by a Ruston 5VPH five-cylinder diesel engine, similar to that used in Ruston Bucyrus excavators and this unit remains in use today. The engine was started by air from a reservoir mounted vertically in the cab. Air for this case from a small Ruston petrol-compressor unit which has to be started by hand. Eastwoods later became part of the Redland Group, and it was Redland who donated the loco to the Society. 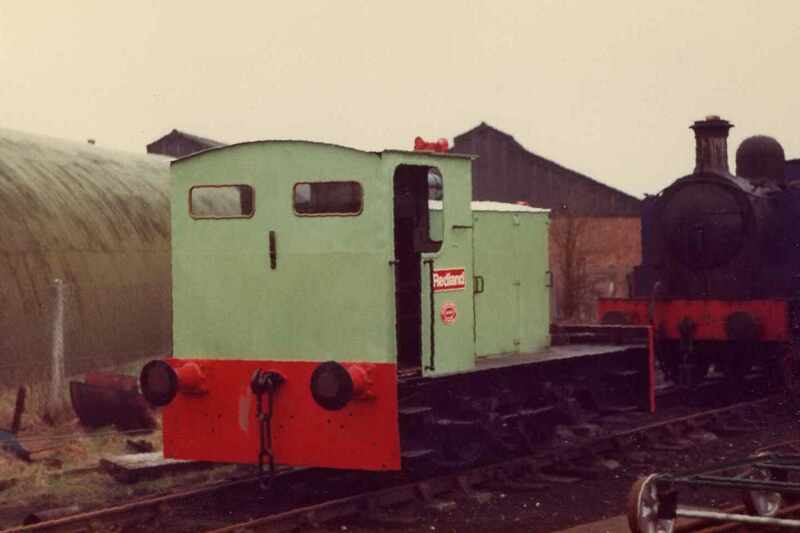 Delivered to Quainton on 15 April 1969, it was the first Society-owned engine to arrive. No. K4428 was named Redland and painted in the company's livery to acknowledge their generosity. It is however now in storage awaiting a heavy overhaul.